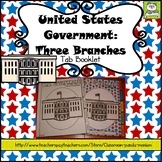 Students can cut and paste a "Three Branches of Government" tree into their notebooks. 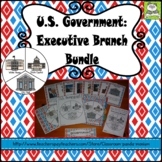 Included: are boxes of information about each branch of government including: (1)Term in office is 2 yrs. (2) Governor and Lt. Governor, and etc. to cut and glue into their Government Tree. Standard Addressed: SS3cG1.b Name the three levels of government (national, state, and local) and the three branches in each (executive, legislative, and judicial), including the names of the legislative branch (Congress, General Assembly, county commissioner, or city council). 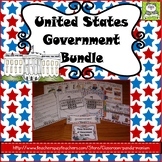 United States Government Bingo-Test Prep Fun! 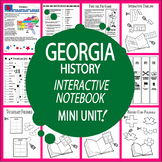 Also included in: Southeast Region States Interactive Notebook Bundle + AUDIO! This 8-page review covers all of Georgia's government standards for Georgia Studies - from SS8CG1-SS8CG6. This review guide has been aligned with the new Georgia Standards of Excellence to summarize key components of Georgia's government. This is a differentiated activity. This is the advanced version. 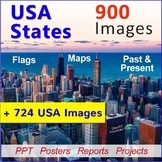 It was created for students to research their state government by using the website of their state government. This document was created for the state government of Georgia but it can easily be changed to suit your needs. This is a differentiated activity. This is the regular version. 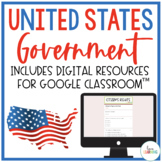 It was created for students to research their state government by using the website of their state government. This document was created for the state government of Georgia but it can easily be changed to suit your needs. The Wright Ladies present the Georgia State Facts Worksheet! 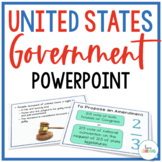 This is a great way for students to begin learning about their state or other states. Included in the download is a PDF version of the worksheet and an answer key.